Does Spanish nationalism exist? For its detractors it is an obvious reality; for its defenders it is non-existent: mere loyalty to a constituted State and its fundamental law, a civic and virtuous patriotism. However, what exactly is nationalism: the aspiration to ethno-cultural homogenization of a territorial collective? If so, many of the facets of the identity discourse and praxis that identify Spain as a nation are not nationalistic. Or, on the contrary, the affirmation in public space that a territorially delimited group is subject to collective political rights, and therefore the holder of sovereignty? If so, then a Spanish nationalism exists that is ideologically and culturally heterogeneous as are all nationalisms. Indeed, coexisting behind the affirmation of Spain as a nation are those who conceive it as a culturally homogeneous and centralized whole, and those who consider that this nation is culturally plural and politically decentralized. Patriots of a nation identified with an existing state and with a long imperial tradition, who become nationalists as passions rise, or become visible in situations of political (or bellicose) confrontation. 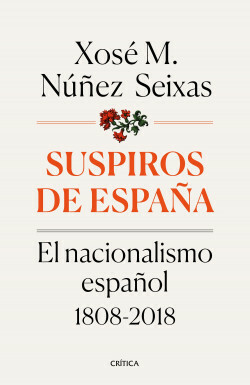 This book deals with a historical genealogy of the various Spanish nationalist discourses of the contemporary period, without forgetting their precedents. All of them share the indivisibility of sovereignty, whose only subject is Spain, and the conviction that the polis, the Spanish political community, has no founding act in the Constitution of 1978, nor in that of 1812, but rather has previous historical and cultural foundations. Based on this beginning, there have been democratic and non-democratic patriots, ethnic and civic nationalists, and diverse combinations of both elements.